Fingersoft, the creators of Hill Climb Racing game series published a new simulation game for Android called Transit King Tycoon. In the game, the player works as a transport manager and take care of all kind of transportation activities and earn money. 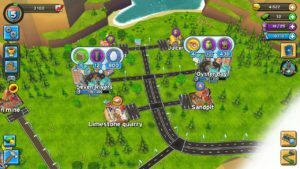 Check out the transit king tycoon beginner’s guide, tips, and cheats to build transport empire. ⇒ Oyster Bay company needs 400qt. apple to make apple juice. To accomplish this task, you send your trucks; select the source[juicer] and the destination[Oyster Bay]. You will get your reward once the order gets completed. Similarly, if a factory needs eggs, you have to instruct your trucks to pick eggs from the chicken farm and deliver to that specific factory. You have limited drivers at the beginning of the game, so you are restricted to send all of your trucks at once for the delivery. You can increase these numbers temporary in exchange for transit notes or level-up your profile. 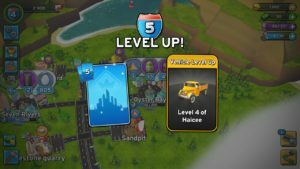 How To Level-Up In transit king tycoon? How to connect long distance factories to the suppliers? You have to build the road from the origin of long distance factories to the working road. Tap on the hammer option at the bottom left, choose build road, tap on the factory and take the pointer to the road, and at last confirm it. You have to pay gold coins for it. 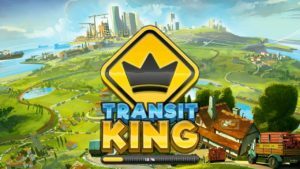 These transit king tycoon cheats, tips, and strategies help you in building the best transport empire ever. As mentioned above, coins are very useful in this transport simulation game. If you have no coins, you can not buy more trucks, if you have limited trucks, you will not be able to complete bulk order and all these things slow down the progress. So you have to maintain the cash inflow by completing the short orders; before sending the trucks, take a look at the orders you have to complete. For instance, you have to deliver 1600 qt. of clay to Merrywood. It is obvious that your truck will take hours to complete this big order and you will have to wait for hours to get the reward. So complete short orders to maintain cash inflow. After every few minutes, you have to refuel your truck and you have limited fuel points. So it would be better to build the gas station in the city to get rid of this problem. So save your transit notes and unlock & build the gas station in the city instead of spending transit notes blindly. You can increase the attributes of trucks[Haicee] and boost up the game progress in transit king tycoon. Attributes such as; load time, speed, fuel points, and cargo capacity. Upgrading trucks improve the performance and it helps in a number of ways; fast delivery, fast reward, and minimum consumption of fuel. So spend some coins on your truck upgrading. There are a number of ways to level up fast in transit king game; accept and complete the contracts, complete short orders. To accept the contracts; tap on the book option on the right side and confirm your action. You will receive daily login reward and you can double it by watching a video ad. Another way to increase your reward is using boosters; just go to the shop section, then boosters, get the booster in exchange for transit notes. But it if you have a decent amount of transit notes available.